Britain's markets watchdog has said Newton Investment Management, Hargreave Hale and River & Mercantile Asset Management have breached competition law over price collusion prior to an initial public offering and placing. The Financial Conduct Authority said it would impose a £306,300 fine on Hargreave Hale, while River and Mercantile Asset Management would have to pay £108,600. The FCA also found Newton Investment Management guilty of breaching competition law. However, the watchdog has not imposed a fine on Newton because it said it was "given immunity under the competition leniency programme." "Asset management firms must take care to avoid undermining how prices are properly set for shares in both IPOs and placings. Failure to do so risks them acting illegally"
Christopher Woolard, executive director of strategy and competition at the FCA, said: 'This is our first case using our competition law powers and demonstrates our commitment to taking enforcement action to protect competition. "Asset management firms must take care to avoid undermining how prices are properly set for shares in both IPOs and placings. Failure to do so risks them acting illegally. "The FCA will act when markets that play a vital role in helping companies raise capital in the UK's financial markets are put at risk. We can also take regulatory action against an individual and did so here with respect to some of the same facts." Hargreave Hale claims the watchdog investigation has factual errors and is considering legal options. "Based on our initial review of the FCA's decision in connection with its Competition Act investigation, we believe that the FCA has made a number of legal and factual errors in concluding that Hargreave Hale infringed competition law and we are exploring our options with our legal advisers. In particular, Hargreave Hale was simply a recipient of information that was provided on an unsolicited basis by another fund manager and did not alter its own bidding behaviour as a result. 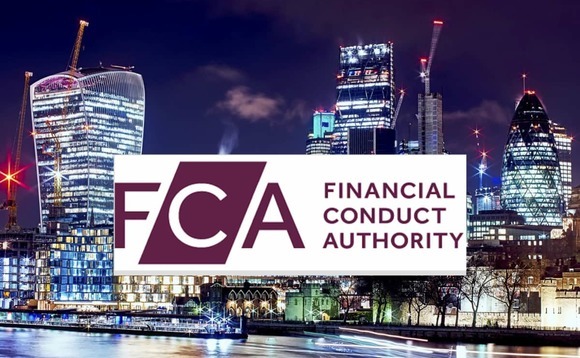 We have co-operated fully with the FCA throughout its investigation and have provided comprehensive evidence and arguments to support our view that no infringement involving Hargreave Hale occurred," the firm said in a statement. "We note that none of the individuals representing our organisation has been investigated by the FCA and we remain confident that Hargreave Hale employees conducted themselves professionally and in the best interests of clients. We would add that the FCA used the same criteria in calculating financial penalties for all parties. The different penalty level reflects Hargreave Hale's higher turnover in the relevant market," it added. Stephany, who ran the £1bn Newton UK Equity fund, emailed himself, copying in 14 external fund managers, on 21 September 2015 regarding the OTB IPO.